Good Value Pharmacy has been locally-owned and independent in Kenosha for over 30 years! With huge corporate pharmacies taking over the market, you’re fortunate to have the option of choosing a pharmacy where you feel at home. You won’t find a pharmacy with better personal service. We don’t use automated voice machines when you call and we can even deliver prescriptions to your home for free. Come experience the customer service that only an independent pharmacy can offer! 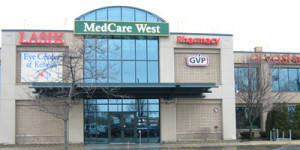 Our MedCare West location is located on Hwy 50(75th St) across the street from Famous Dave’s and Olive Garden.